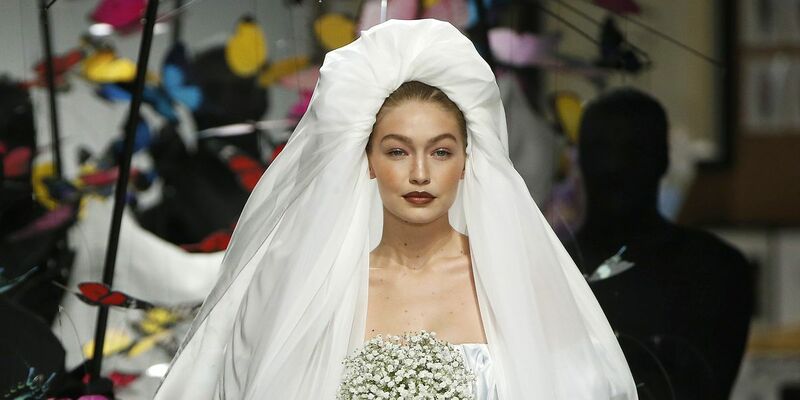 Continuing to walk show after show in the ongoing fashion weeks, Gigi Hadid made a stellar bride as she closed the Moschino Milan Fashion Week Spring/Summer 2019 Show. 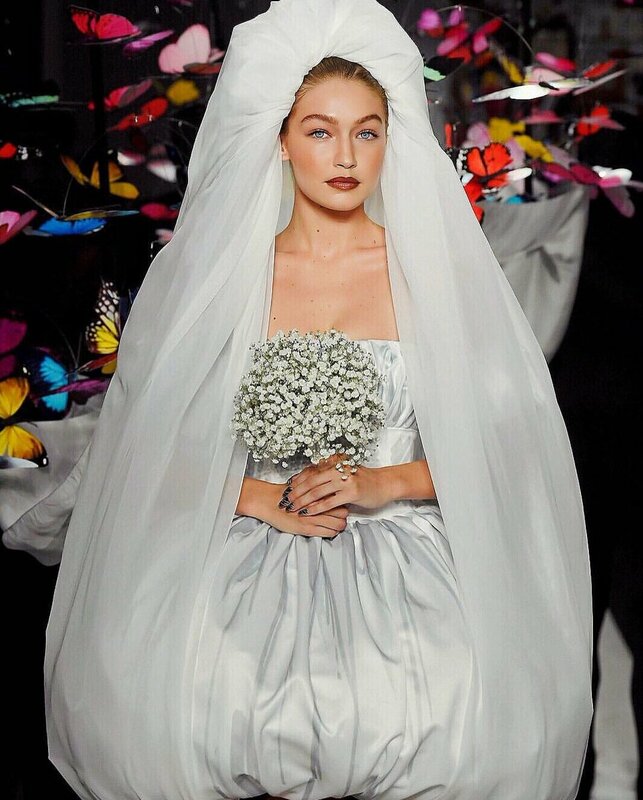 Taking inspiration from the Parisian labels who close their shows with a bridal look, Moschino's Jeremy Scott had Gigi do the honours. 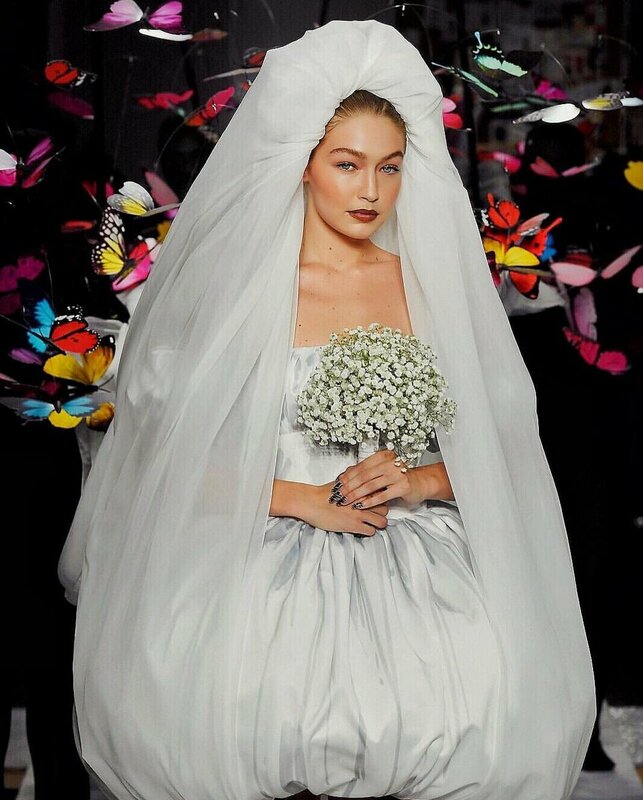 Wearing an unconventional bridal ensemble, Gigi gave a taste of the ultimate Moschino bride in her virginal white bubble-hem dress. 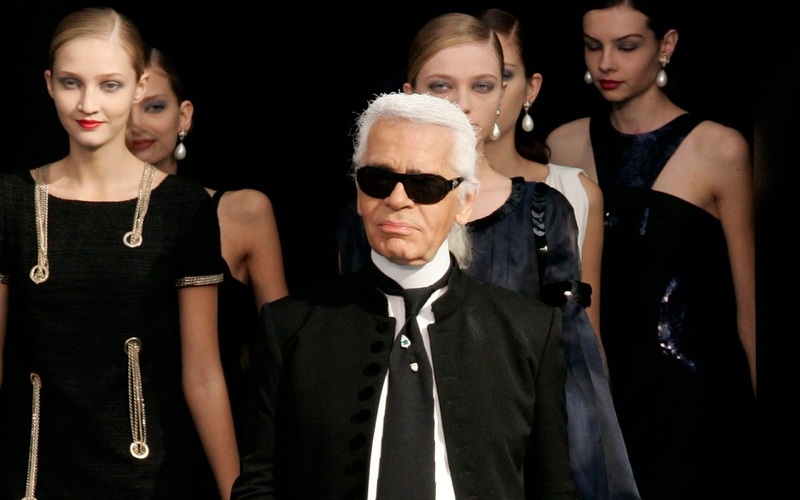 The chic dress had a long double veil with one layer tucked into the bubble hem of the dress, and the other layer was carried by models clad in all black jumpsuits, letting Gigi take the limelight. 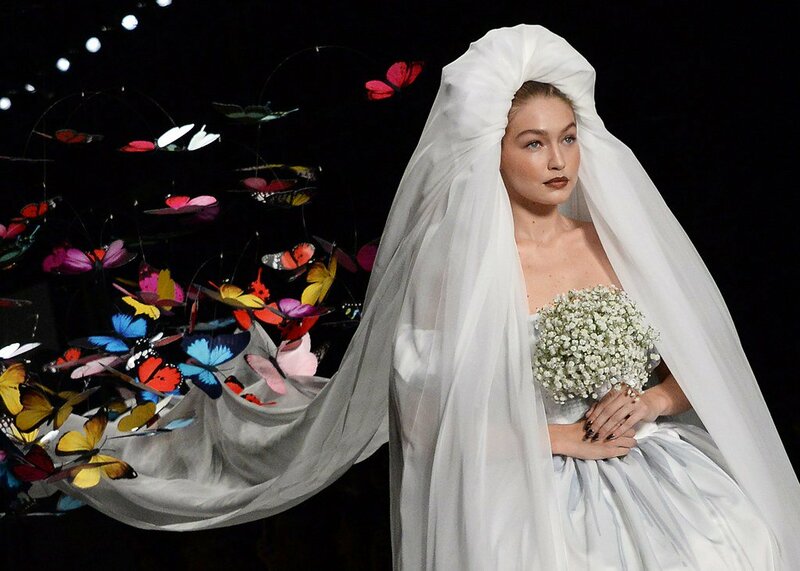 The other veil carried by models seemed like a floating river, and the models carried mobiles with vivid butterflies, that made it seem that the butterflies are floating on top of Gigi's veil. 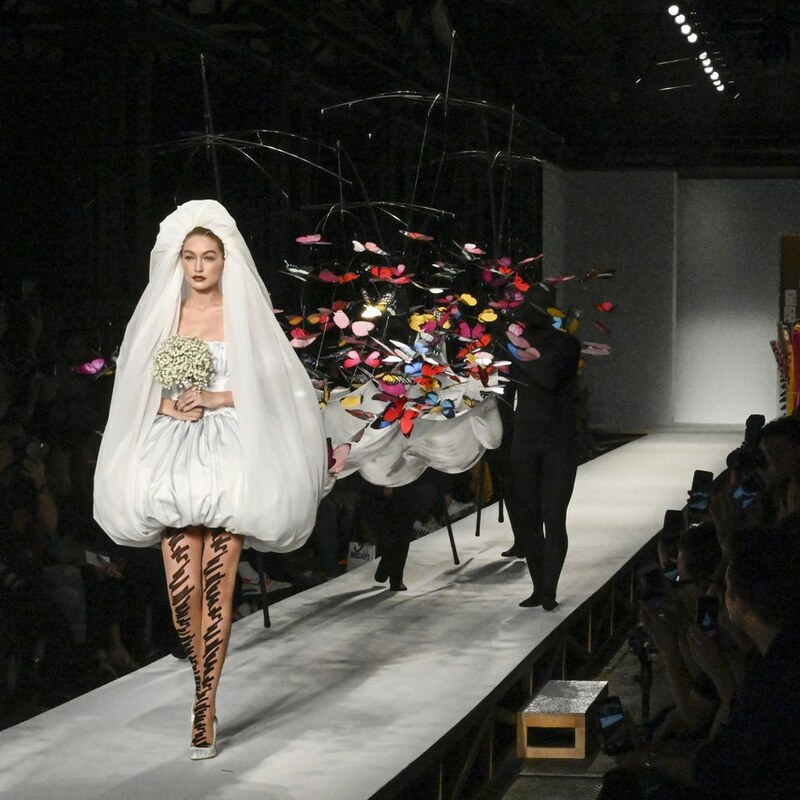 Also wearing the season's Moschino scribble print tights, a matching manicure and carrying a bouquet of flowers, Gigi certainly rocked the ramp, and looked sensational in the one of its kind bridal look of the season.